We are proud to have "A.L. 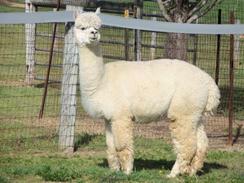 PACA'S BLUES BREAKER" to our herdsire lineup. 10 Championships and 17 blue ribbons in AOBA certified shows! Blues Breaker is the son of Simba of A.L. 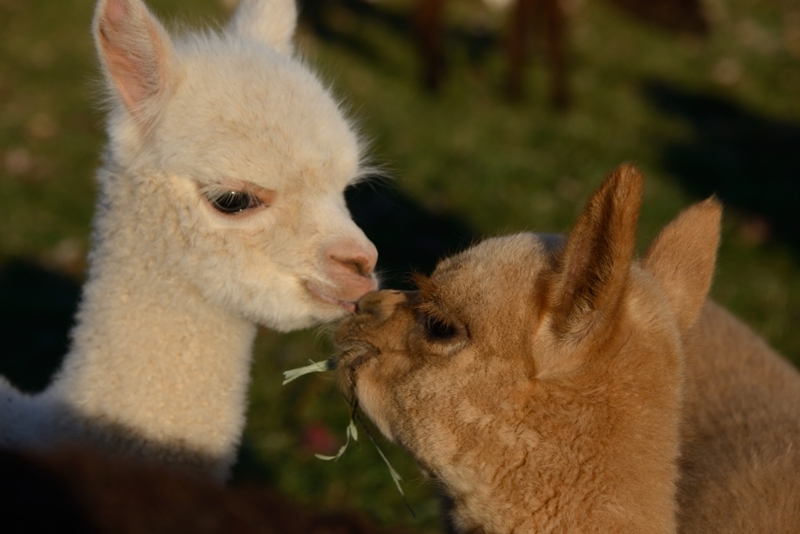 Paca's. This boy has it all! He has wonderful confirmation, a great looking head, perfect bite and then there's the fleece! Mikaylahas a nice white fleece that is very soft, dense and had good staple length. She had no problem birthing and is a super mom. Mikayla had a really nice little boy, Reggie, out of 10x Champion Blue's Breaker. His fleece is very, very nice - lots of bundles! Reggie is a very dense alpaca with good crimp. His fleece has bundles and is very nice and compact. He leads well and was also used in 4-H.